Business Address: 2005 Park Central Dr. 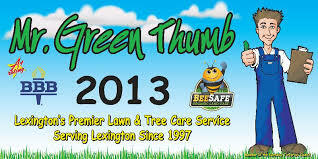 Established in Lexington 1997, Mr. Green Thumb is now offering ORGANIC alternatives to traditional chemical lawn and tree care programs. 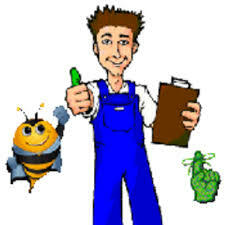 We have teamed up with Bee Safe Organic Land Care to make the environment safer one landscape at a time. Land care that is environmentally friendly for children and pets. The Bee Safe products and systems allow Mr. Green Thumb to offer its commercial and residential customers an alternative to chemical lawn care. The Bee Safe sustainable systems include: Organic Lawn Management, Organic Tree and Ornamental Programs, Storm Water Run-Off Solutions, and Natural Pest Control. By introducing beneficial microbes into the soil web this eliminates the need for synthetic chemicals and pesticides on your lawns and plants. Using cutting edge organic technology that focuses on creating healthy soil, we can turn your lawn into an environment that is rich with compost and organic matter. Healthy soil creates healthy pest resistant plants.